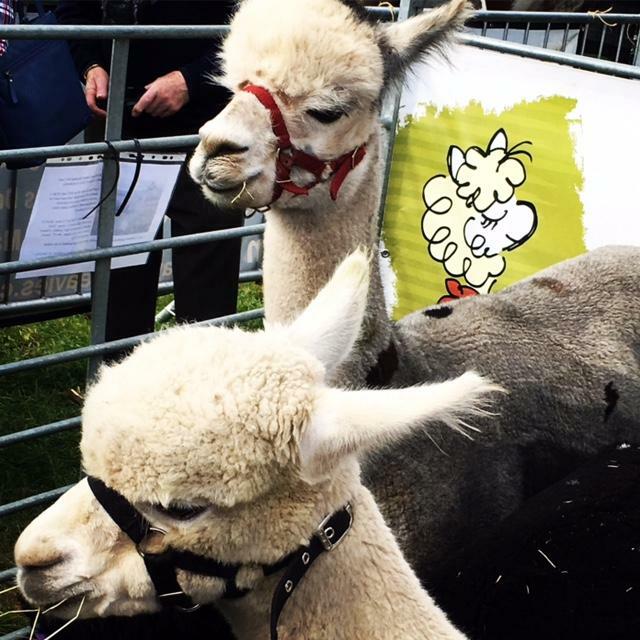 The alpaca member of the Camelid family are becoming increasingly adorned and highly cherished throughout the world whilst the true cost of cashmere is being exposed. 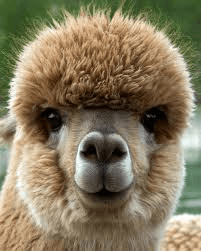 Alpacas are extremely lovable, completely endearing and some may go as far to say as ‘cute’ animals which thanks in part to the Peruvian Trade Commission and Plum of London (! ), are becoming more prevalent in western society than ever before. The popularity of alpaca fibre has arrived at an apt time – the widespread availability of cashmere (wool spun from the soft hairs of the Asian cashmere (Kashmir) goats, is not sustainable. Whilst the cost of cashmere to the consumer has decreased since the yarn went from exclusive luxury, most often knitted in Scotland, to mainstream in the late 1990’s, the quality has worsened. Whilst brands are launching their AW17/18 Collections, it is clear that alpaca is becoming inreasingly popular in the fashion industry. Alpaca has been represented on the catwalk by Versace and Louis Vuitton, whilst the US denim label Simon Miller, has created a pure alpaca sweater exclusively for Mr Porter here in the UK. Demand from world brands is wrought – mills in Europe and Asia buy up their require quota of alpaca yarn from Peru in haste and this has created waiting lists for the yarn fondly known as ‘The Gold of The Andes’ in some circles.Peruvian mills have witnessed an increase in alpaca consumption and these mills are currently preparing orders for cluents in Japan, the US, Korea and Europe. Some brands including Ralph Lauren wil have alpaca which has been spun on cones, sent directly to their mills in China in readines for their new collections. 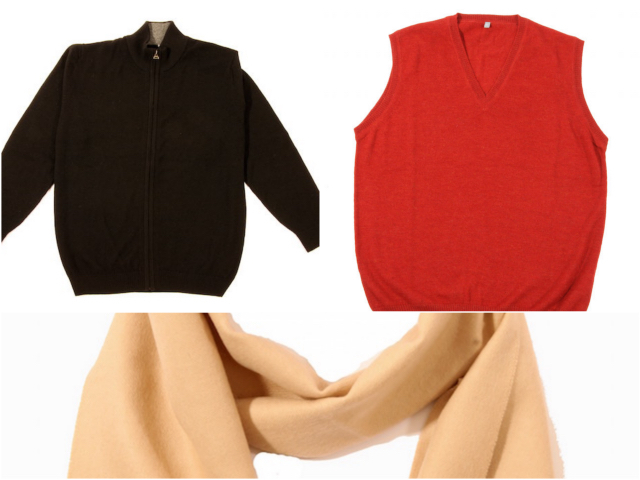 Alpaca is a natural fibre like cashmere, that looks and handles incredible and totally luxurious. There are various grades (qualities) of alpaca yarn but all are more durable than cashmere, whilst some is even softer, warmer and possesses many more attributes and benefits. As the term ‘The Gold of the Andes’ suggests, the Incas placed a higher value on alpaca fibre than even gold or silver. There are arguably up to 29 natural colours that alpaca fleece comes in from the simple black and ivory to auburn and white whilst the fibre possesses a lustrous handle and creates a natural drape basting impeccable credentials – on paper alpaca possesses more benefits, attributes and benefits than all other yarns, both natural and synthetic. It’s just a matter of using expert craftsmanship and employing artisan skills to create alpaca knitwear and woven accessories to create pieces that do justice to its many, many attributes. This entry was posted in Latest news on 18/09/2017 by Hugo Douglass. 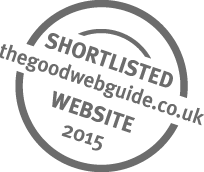 We’re delighted to have been shortlisted in the Junior Design Awards! ”Good evening, thank you for my items, which arrived today. Not only are the items lovely but I felt the need to drop you a line to say I like the personable way you do business. In a world of poorly worded emails and badly stuffed envelopes, it has made a pleasant change. 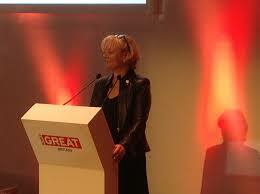 With best wishes” Ms T.Smith, England. ”Hello I Just wanted to say thank you and how pleased i am with my recent order. I love the colour and feel and quality of the alpaca. The hat is warm without being heavy and sweaty like most hats. The ‘man snood’ as i call it is very comfortable around the neck and head, very comfortable item to wear. The order came quickly, beautifully packaged and feels like a top quality product. I’m really keen to only buy products of this nature if i can afford them. I wish you every success and i am really happy with my purchase. Well done and thank you.” Revd. A.B. Midlands, England. ”The parcel arrived yesterday and I am very, very pleased with the scarf and the snoods! Wonderful products, I am sure I will come back to Plum of London! Thank you and kind regards from Finland.” Ms S.M. Jaali, Finland. ”Hello, I’m emailing you back to thank you for your email and specially for the nice scarf which I’ve got today, looks very good. I’m happy with the purchase and the service as well, thank you again and keep the good work up. Best Regards, Y.E.” London, UK. 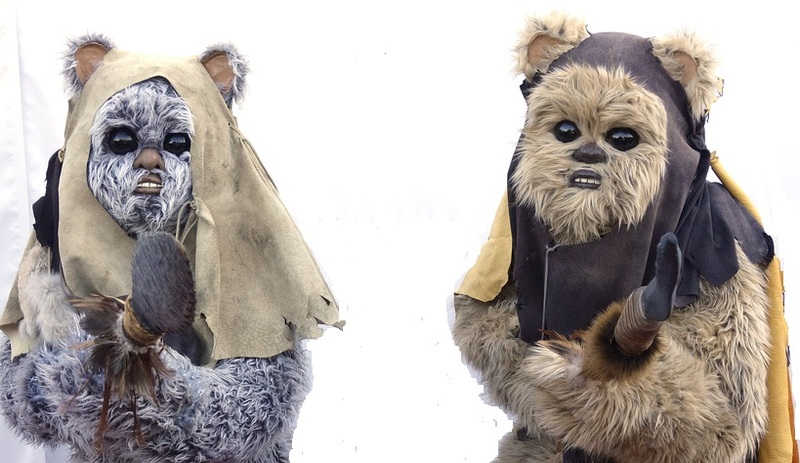 ”Just wanted to say – this is the BEST warmest scarf! It’s below -12 F degrees out and it blocks wind and keeps me nice and snug! Can’t wait for my neck scarf, ideally I could be encased in some kind of alpaca chrysalis!” Ms L.P. Chicago, USA. 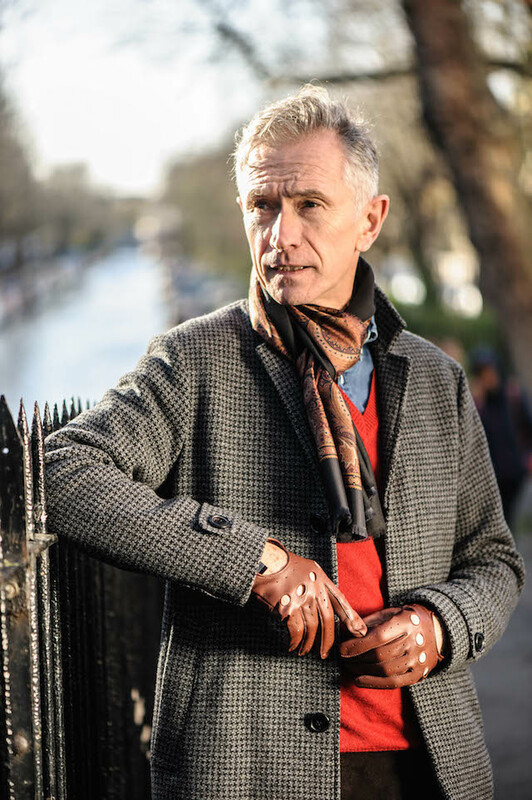 We look forward to the day that you too can write something similar about Plum of London’s alpaca clothing and accessories – we’re sure you’ll be converted soon enough! 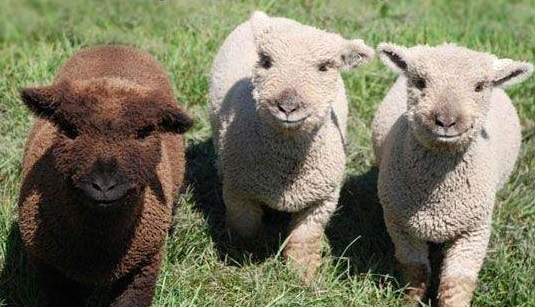 We look forward to welcoming you too to the family that is alpaca here at Plum of London…! This entry was posted in In the press, Latest news on 08/11/2016 by Hugo Douglass. Plum of London admires many brands but those we feel are the best British men’s brands form an elite list. As Englishman, the quality of the clothes we produce is something that we should look to with great pride. The tradition, heritage and innovation that have been employed by some of the greatest British brands in the world should feed this pride and the extraordinary craft that goes into making a Savile Row suit or a pair of Northampton-made shoes deserves to be celebrated. If the brand’s position at No1 Savile Row isn’t enough, then surely their three royal warrants will prove to you the incredible longevity of Gieves & Hawkes. Gentlemen from Winston Churchill and Prince Charles to David Beckham have long been fans of the world famous brand, and the tailor prides itself on the exquisite attention to detail placed on each and every stitch, whether it’s an off the peg blazer or a bespoke suit. This is admittedly one of our favourite Men’s British brands. When it comes to shirt-making, there are very few brands that live up to the expectations of the marvellous Turnbull & Asser. Expertly crafted products made in their own unique way and with quality at the heart-centre is what the brand, which was established in England in 1885, prides itself on. Many of the Turnbull & Asser craftspeople have over two decades of experience between them, and with the Royal family holding the brand close to their hearts from day one, you know you’re buying into an incredible piece of history. Another favourite of Winston Churchill’s, the brand also has Princess Diana and Ian Fleming on its books, and continues to have pride of place both in Britain and all over the world.The fragrance you spray should be as unique as the suit you wear, and there’s no better brand for the scent of a lifetime than Floris. As the oldest independent family run perfumer in the world, you’d be right to assume that the brand knows a thing or two about scent; they have been creating rare and beautiful fragrances since 1730. The esteemed shoemaker of Northampton is certainly our favourite men’s show brand here Plum of London HQ. The 5th generation family-managed business has since paid the utmost attention to creating seriously high quality and beautiful footwear that’s guaranteed to take you through all walks of life. Alfred Dunhill took over his fathers equine-goods store in 1893 and doubled its turnover within six months. And so, whether it was creating the lighters that the brand became so well-known for, or making bespoke blazers that’ll last you a lifetime, dunhill remains as ahead of the game now as it was over 100 years ago.dunhill has always been one of the most innovative British brands in the world. Iconic and always with a strong sense of its own message, dunhill has paved the way for many other Great British design houses who have drawn inspiration from their ethos. Whether through their guns or field-wear, Purdey is a true representation of British craftsmanship in the highest form. Since the brand’s establishment in 1814, they have been leading the way for gun and rifle makers all over the world. Top hats and fedoras are an accessory synonymous with the English gentleman and Lock & Co are the brand to go to for such an item. Heritage and tradition are at the heart of Lock & Co’s ethos, and since the brands been around since the 1600s, they play a large part in every one of their hats. No British list such as this would be complete without the inclusion of an incredible cashmere brand, which is where Johnstons of Elgin comes in. Since it was first established in 1797, the company is still run by the same two families that started it, the Johnson’s and the Harrisons. Geo F. Trumper is a British barber than stands out time after time in a continuously saturated market, and one that works with tradition at the base of everything it does. It’s been on the scene since the 19th century and still remains to rival all other modern barbers in the country through its two locations on Duke of York Street and Curzon Street. When you think Savile Row, you think Hardy Amies. Sir Edwin Hardy Amies himself was best known during his time as an official dressmaker for Queen Elizabeth II. The tailor is one of the most highly respected in the world and with clients such as the Royal Family, when you purchase anything from you brand you can be sure that you’ll be in good company. With the factory sitting in the middle of Gloucester in a beautiful 18th century townhouse, Emma Willis is about as British as it gets. The brand creates some of the most luxurious shirts, boxer shorts, pyjamas and dressing gowns in the world; clothes truly fit for a gentleman and bespoke items that will last you a lifetime. William & Son prides itself on its heritage, history and iconic, distinctly British design: attention to detail is one factor that will never be overlooked. This entry was posted in Uncategorized on 14/10/2016 by Hugo Douglass. This entry was posted in Uncategorized on 15/12/2015 by Hugo Douglass. 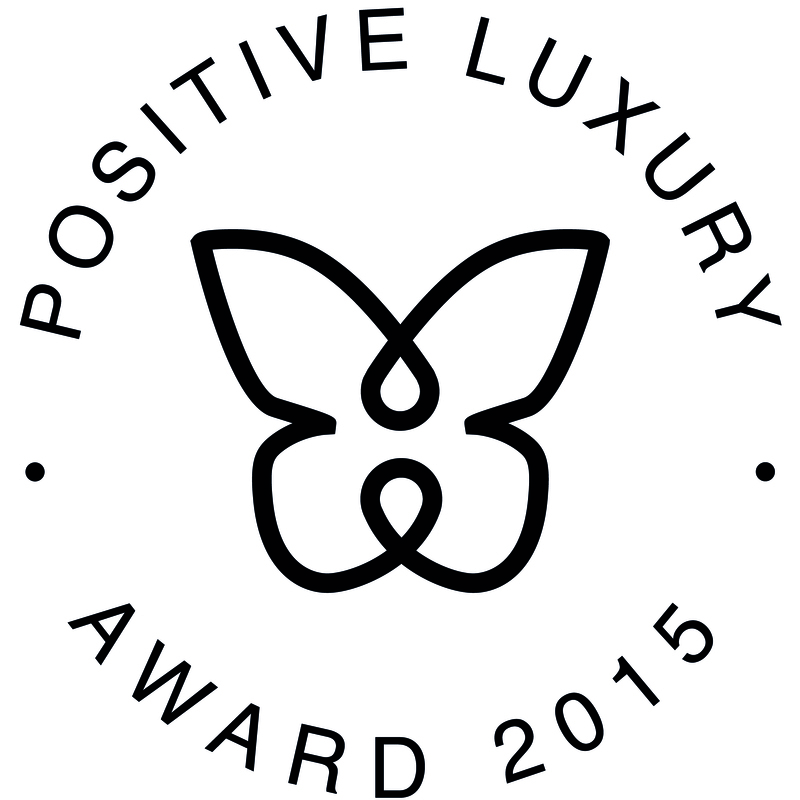 Jo Malone hails Plum of London’s luxury British alpaca knitwear! 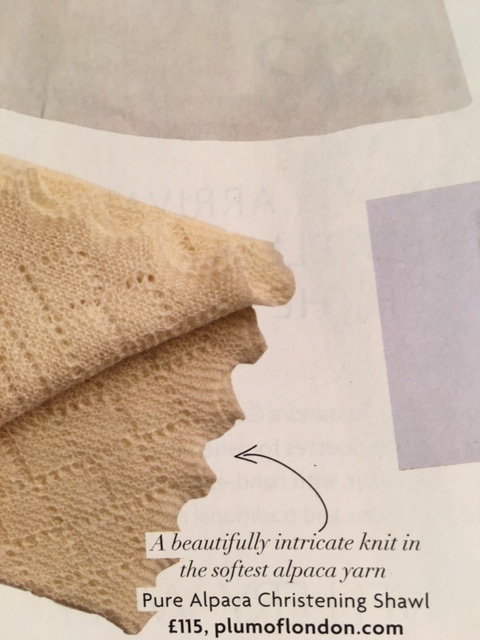 The incredibly soft handle and infinite list of benefits that our Royal alpaca knitwear offers will surely have influenced Jo Malone’s highly regarded opinion of our collection. This entry was posted in Uncategorized on 11/12/2015 by Hugo Douglass. This entry was posted in Uncategorized on 02/12/2015 by Hugo Douglass. The news that Plum of London’s favourite resort-wear brand has collaborated with the knitwear label’s cherished Savile Row tailor is cause for excitement and news worthy of sharing. Celebrating travel and exploration, Orlebar Brown and Gieves & Hawkes have collaborated on a capsule collection of tailored ready-to-wear suitable for the modern man and their worldly adventures. The pre-eminent Scottish explorer David Livingstone has inspired the collection and allowed Orlebar Brown to reimagine his meticulous hand-drawn maps onto a range of utilitarian clothing. Livingstone is one of the most popular national heroes of the late 19th century thanks to his pioneering expeditions and championing of causes from social reform to anti-slavery. In many ways Livingstone has deep connections with Gieves & Hawkes. When Livingstone was feared dead in 1871, the New York Herald sent Mr Stanley to find him. Dressed in Hawkes & Co, Stanley found Livingstone in good health and well-dressed in Gieves. Upon Livingstone’s death, his body was returned to London to lay in repose at No.1 Savile Row – the headquarters of the Royal Geographical Society at the time and the home of Gieves & Hawkes since 1912. The unique collaboration summons the spirit of curiosity, exploration and discovery both brands convey making it a project both apt and fitting.